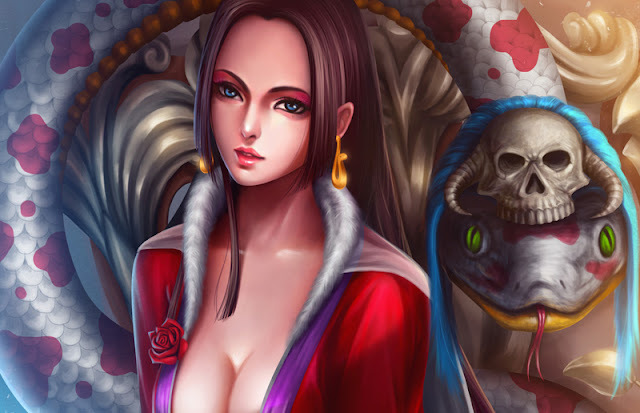 Boa Hancock (Pirate Empress) is one of the leaders of the pirate group of women were highly respected in the anime series "One Piece". Besides of her beauty, she also has an extraordinary power. So with her ability she was offered a position as Shichibukai by the world governments. She is also the "Snake Princess" of Amazon Lily and rules over the Kuja tribe with her two younger Gorgon sisters, Boa Sandersonia and Boa Marigold.